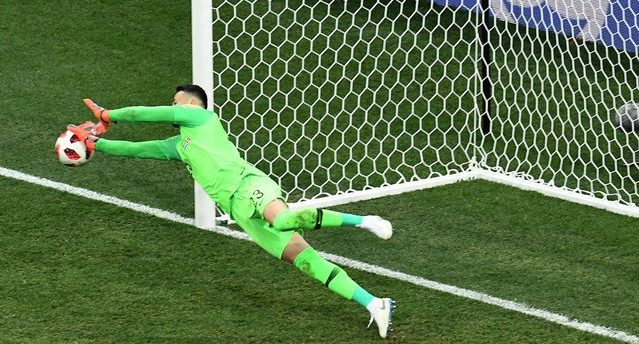 The goalkeeper struggled with a muscle injury during croatia's quarter-final victory over FIFA World Cup 2018 Host Country Russia. Danijel Subasic show heroic performance in sochi. He need treatment in extra time before a heroic performance in the penalty shoot-out. His heroic performance help Croatia enter into the FIFA World Cup 2018 Semi- Finals. Subasic give respect to the England, saying that croatia don't really care about who they play or who the favourites are. Talking to fifa.com "England have great players and they are a fantastic team. Subasic was determined not to come off during that clash in Sochi and he will not allow the problem to stop him facing england tonight. Subasic told Fifa.com "I started warming up before kick-off and i felt the pain in the muscle. My Physiotherapist massaged my leg a bit and saw I could play". "Later, I felt the pain again, but I didn't want to give up. I know that the coach needed antoher substitution". "During the break the masseurs did some quick work and, like a Formula One car after a pit stoop, I was a good as a new". "It's been a long season, but you play in a World Cup semi-final once inn a lifetime and there's no point giving up no point giving up now".